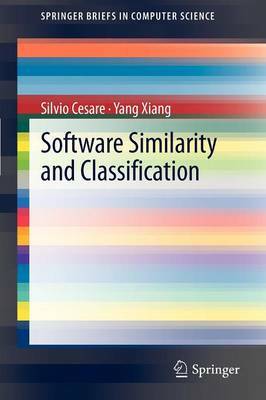 Software similarity and classification is an emerging topic with wide applications. It is applicable to the areas of malware detection, software theft detection, plagiarism detection, and software clone detection. Extracting program features, processing those features into suitable representations, and constructing distance metrics to define similarity and dissimilarity are the key methods to identify software variants, clones, derivatives, and classes of software. Software Similarity and Classification reviews the literature of those core concepts, in addition to relevant literature in each application and demonstrates that considering these applied problems as a similarity and classification problem enables techniques to be shared between areas. Additionally, the authors present in-depth case studies using the software similarity and classification techniques developed throughout the book.